The new XC90 has been a long time coming. Well 13 years to be exact, which in automotive terms makes the original model the equivalent of the local nursing home's longest serving resident. To put it into context, since 2002, BMW has replaced the X5. Twice. 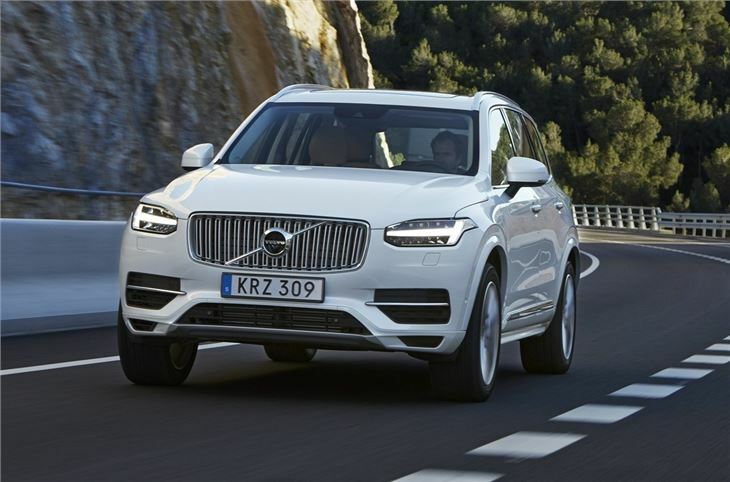 The new XC90 represents the start of a new chapter for Volvo. It's the first model made entirely by Volvo since the brand was sold by Ford in 2010. 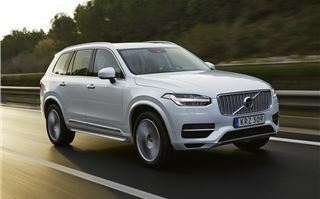 And with XC90 being almost a brand in itself - and the top of the tree in the Volvo line-up - there's plenty riding on it. This is one car that Volvo wants to get right. It certainly looks the business with the kind of upmarket but understated design that many buyers of big SUVs want. The styling showcases the next family look for the Volvo range and while it's no huge revolution, the smoother lines and features like the LED headlights - which come as standard on all models - with their neat daytime running light signature, mean it's certainly distinctive. There are three different trim levels in the UK - Momentum, R-Design and Inscription - and the three get different grille and bumper designs as well as various alloy wheels. It means you can make your XC90 look as bling or as sporty as you want. But the big change comes when you get behind the wheel. 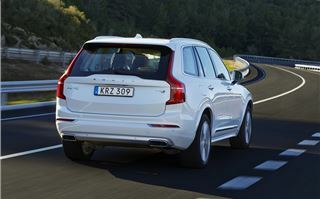 It's here that the new XC90 is poles apart from its predecessor. 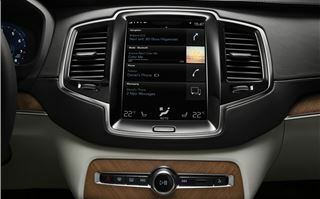 Volvo has always tried to create Scandanavian-inspired minimalist interiors, with varying degrees of success. 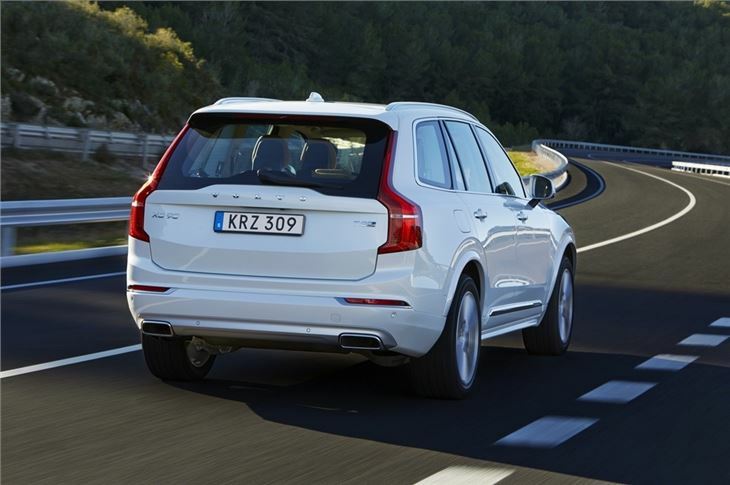 In the XC90 that experience has all come together to create a beautifully finished, high-quality and urbane cabin. 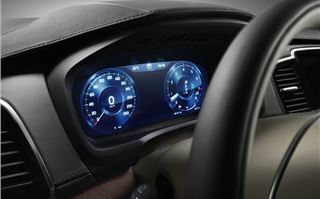 Finally, we can genuinely say Volvo has the sort of interior to match the likes of Audi and Range Rover. The attention to detail is impressive and with various trims available - like the natural wood you see in our pictures - it feels a step up from the ordinary. 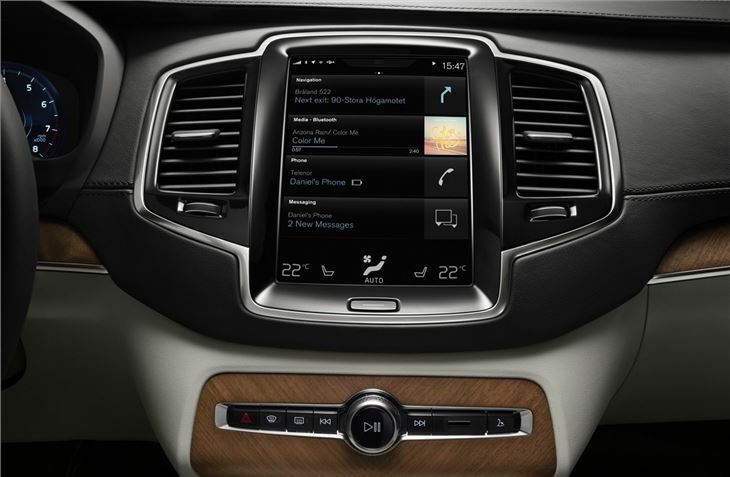 Volvo has clearly put a lot of thought into making the XC90 feel modern yet user-friendly. It has a virtual instrument display, similar to the latest Audi TT, but the real highlight is the large central touchscreen. This comes as standard on all models and works like a tablet, so you can swipe between screens and menus, pinch to zoom in and easily get from one function to another. It's one of the best systems we've used and it's intuitive too, only taking a short time to get used to. It's also responsive, so there's no having to repeatedly tap parts of the screen or waiting for it to recognise inputs. The display is pin sharp too, as evident with the reversing camera which is the best we've seen. 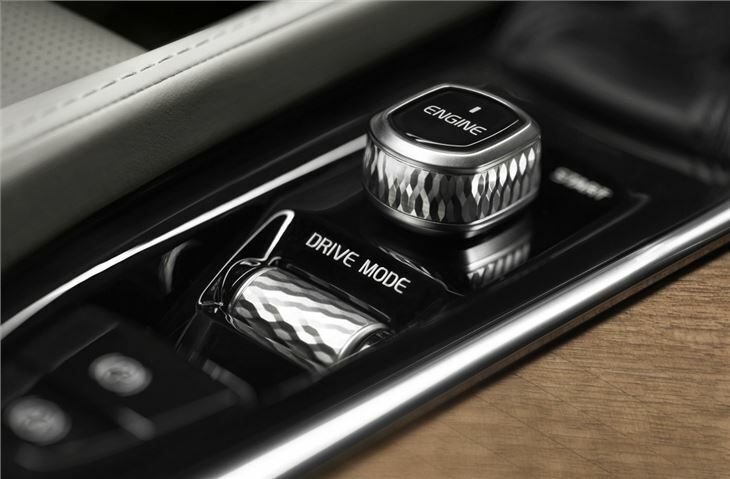 Having this touchscreen system means there's a clean feel to the cabin with only eight buttons on the dash and the gearlever next to the starter switch on the central tunnel. The XC90 is not merely a style statement though. This is still a car designed to be a practical family SUV and all models in the UK come with seven seats along with an electric tailgate as standard. The rearmost seats have a decent amount of space - Volvo says they've been designed for people up to 5'7" and they're comfortable with good back support. The middle three seats slide and recline individually, plus the XC90 still comes with an integrated child booster seat in the centre. Although now it's an option rather than standard fit. There's plenty of headroom as you'd expect while getting to the extra row of seats isn't too difficult and certainly not a problem for children or teenagers. You probably won't want to stick grandma back there though. No matter how tempting it is. The seats all fold down to create a totally flat floor, although it's slightly disappointing that there are no handles in the boot to do this. Instead you have to lean in and use the handles on the seats which can be a pain. 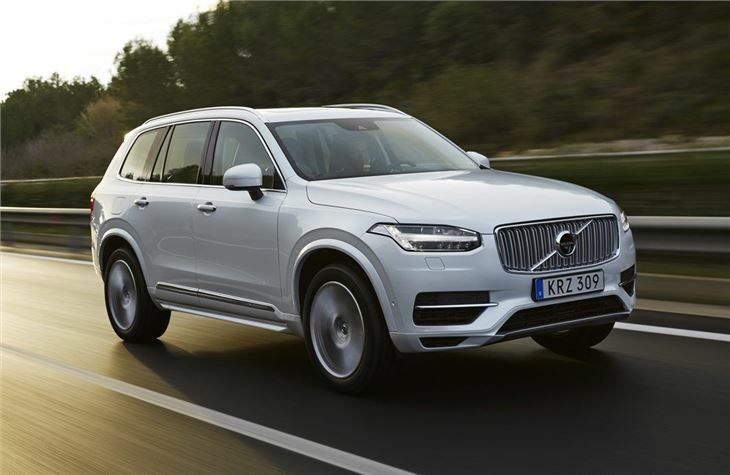 There is only one diesel in the XC90 from launch in the form of the D5. It's no surprise that it's expected to be by far the most popular engine. There is a T6 petrol but it will only be bought by a handful of people who cover short distances. The T8 version is a plug-in hybrid which has 400PS yet emits just 59g/km of CO2 making it appealing as a top end company car. Unlike the old D5, this new version is no longer a five-cylinder unit. 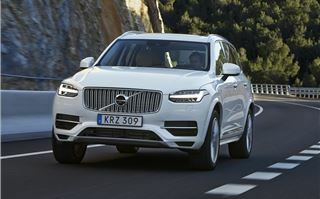 Instead Volvo has switched to a four-cylinder 2.0-litre common rail engine. While it may not have the gruff character of before, it's far superior in terms of refinement and noise. In fact so good is the sound proofing you can rarely tell it's a diesel at all. It pulls well thanks to 470Nm of torque and is an ideal motorway cruiser while the official figures state economy at 48.7mpg. In 2016 Volvo will introduce a lower powered D4 model with 190PS which is front-wheel drive. 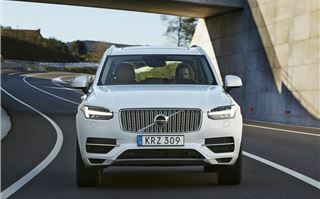 Refinement is a real forte of the XC90 and not only is it quiet, but it rides exceptionally well too, coping well over poorly surfaced roads. It's more than just a one tricky pony though, as the Volvo also handles well. Considering this is a big SUV that weighs more than two tonnes, you can happily tackle tight corners with confidence. The front end has plenty of grip and body roll is kept reasonably well in check. 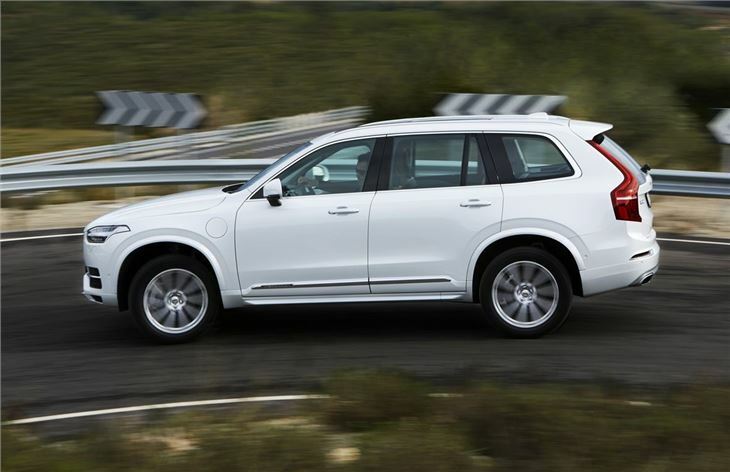 The XC90 is an incredibly impressive all rounder and makes a compelling case as the best SUV on the market. 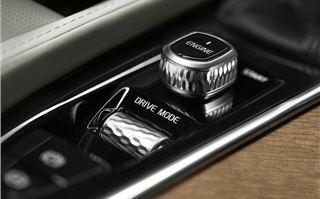 It's more comfortable than an X5 - and better equipped - while it's far superior than a Mercedes ML. 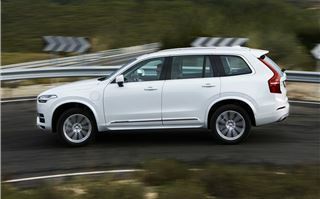 We'll have to wait for the new Q7 to see how good that is, but the Audi will have to pretty special to outdo the Volvo. It's been a long time coming but the XC90 has been well worth the wait.